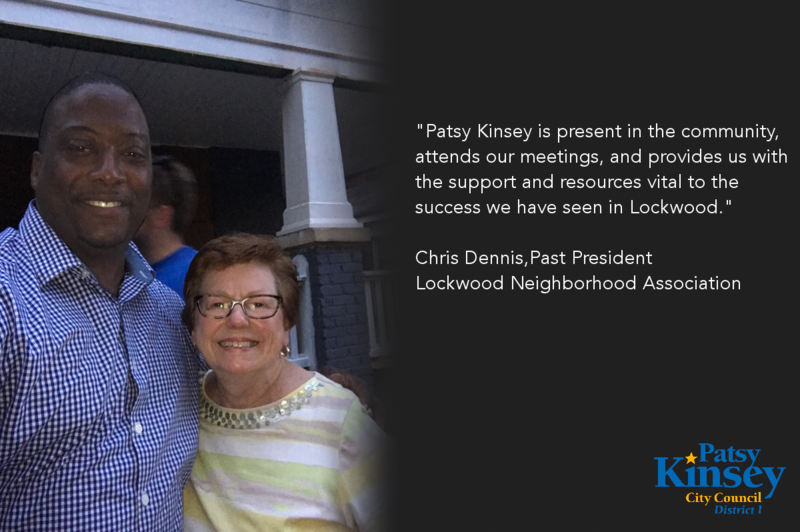 I am pleased to receive the endorsement of Chris Dennis, Past President of the Lockwood Neighborhood Association. Chris has been instrumental in protecting his neighborhood and advancing the interests of the residents of Lockwood. We have worked together on several projects and I know how dedicated Chris is to this community. I am honored to have his endorsement. Patsy Kinsey is present in the community, attends our meetings, and provides us with the support and resources vital to the success we have seen in Lockwood.